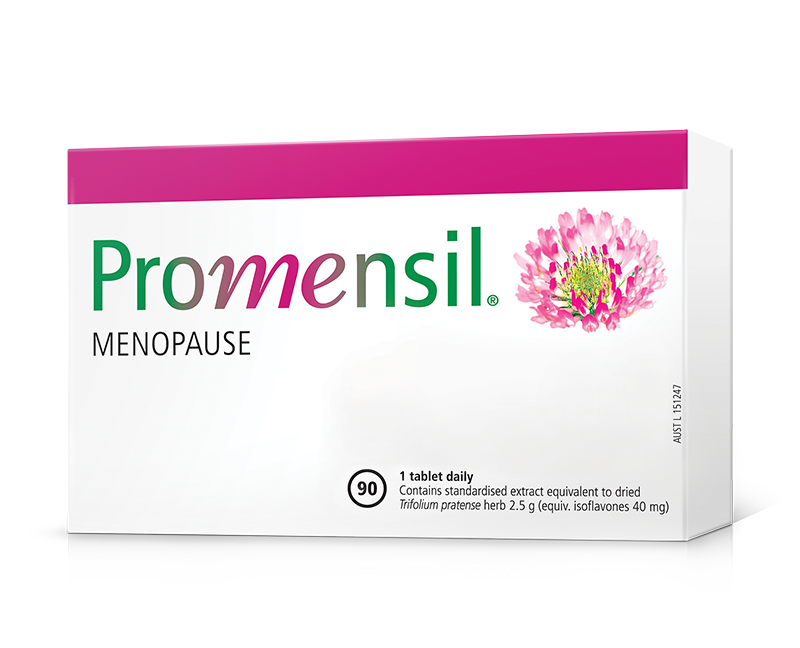 Promensil Menopause helps relieve the menopausal symptoms, hot flushes and night sweats. Always read the label. Follow the directions for use. If symptoms persistent, talk to your healthcare professionals. Contains soya. What are Promensil Tabs for? Helps relieve the symptoms of menopause including night sweats, hot flushes and mild anxiety. Who are Promensil Tabs for? When should I take Promensil Tabs? Why should I take Promensil Tabs? To help relieve the symptoms of menopause including night sweats, hot flushes and mild anxiety. Store below 30C in a dry place away from direct sunlight. Sign up to our newsletter today and receive emails with all the latest menopause news and promotions. Copyright 2018 Promensil. All rights reserved.